Why do wolves generate a feeling both of fear and fascination? Do the wolf and human communities have something in common? Can a peaceful co-habitation exist between the two? Some decades ago, in Italy, these fierce predators were almost extinct, hunted by men and branded with tales and preconceptions. In recent years, a newfound environmental awareness and conservation laws have allowed wolves to reconquer their ancient territories, re-colonizing the Appennine Range and parts of the Alps. A journey that will shed light on the complex society of wolves through anecdotes, original videos, short readings and music, providing the audience with a better understanding of these animals and attempting to answer the question of whether, by looking into the eyes of a wolf, we may actually see ourselves. Giuseppe Festa has a degree in Natural Sciences and works in environmental education. He is the founder and lead singer of the band Lingalad, with which he performs in Italy and abroad. He is the protagonist of the awarded documentary Oltre la frontiera, that shows how the American Natives live today, and author of various nature documentaries produced by Rai. 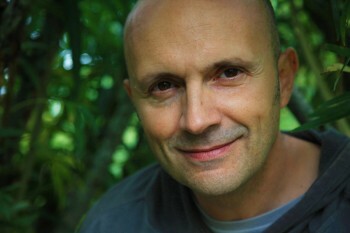 He has written: Il passaggio dell’orso (2013), L’ombra del gattopardo (2014), La luna è dei lupi (2016) and Cento passi per volare (2018), all published by Salani and translated into various languages. His latest book, I figli del bosco (which will be published by Garzanti in October), tells the true story of two wolf pups.